Zippered main compartment. Zippered front pocket. 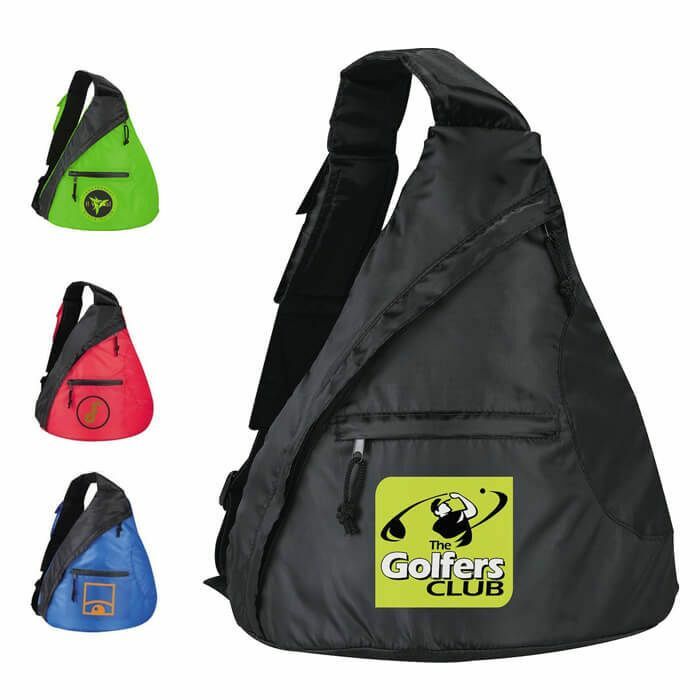 Padded, adjustable sling strap with velcro media pocket.